According to the almost 10,000 (9.903 to be exact) who filled out the “Rider Report Card”, the is not #1! 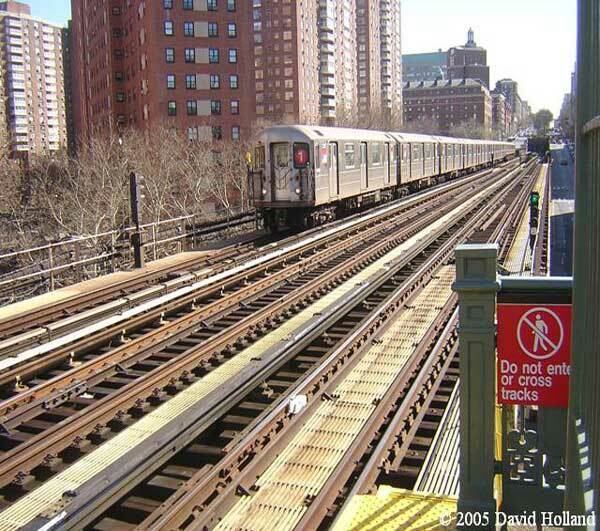 The line which serves as the Broadway-7th Avenue local between 242nd Street-Van Cortlandt Park & South Ferry earned a D+. Lets go straight to the breakdown. The grade says it all for the which might be one of the most frustrating lines in the entire system. If you want to see a true conga line, watch the especially during rush hour. The fact that “Reasonable wait times for trains” is #1 comes as no surprise to me. The issue with the is not scheduling as there is plenty of scheduled service. The problem arises when just one little hiccup can cause a chain reaction up or down the entire line! Unfortunately for riders who depend on this line, this scenario plays out way too often. One can count on some sort of major issue at least once a day which is unacceptable especially for a line that never shares track space. These delays cause severely inconsistent service where the is either coming every 1-2 minutes or it will come every 8-10. Unfortunately this kind of inconsistency seems to be a daily occurrence especially during rush hour. I don’t think adding trains will help as that will only add to the problem. The main issue is mostly track space but that is a problem that won’t be getting addressed anytime soon if ever in our lifetime. When the service is operating without issues, there is hardly any room. Now add on delays which cause a train to not be in service or be forced to do a battery run to catch up & you can see how this problem gets magnified. The is definitely a line that you should expect to stand at just about any time of the day or night if you are not boarding near any of the terminals. I don’t see this issue improving too much to be perfectly honest. “Minimal delays during trips” is clearly aligned with the first two issues & quite frankly I don’t see much changing. Maybe having a line manager will help but I would take a wait & see approach on that one. Until the 1 finds a way to avoid a typical hiccup in operations, riders should continue to expect inconsistency for a line that greatly needs changes. Look at the bright side, at least the got 2 above average grades although they were in the freebie “Ease of use of subway turnstiles” & “Availability of MetroCard Vending Machines” categories!